A few words from one of Feonic’s many audio visual installation partners. Describing their work creating a digital window display consisting of an in store video installation but with the added twist of playing outside the store. 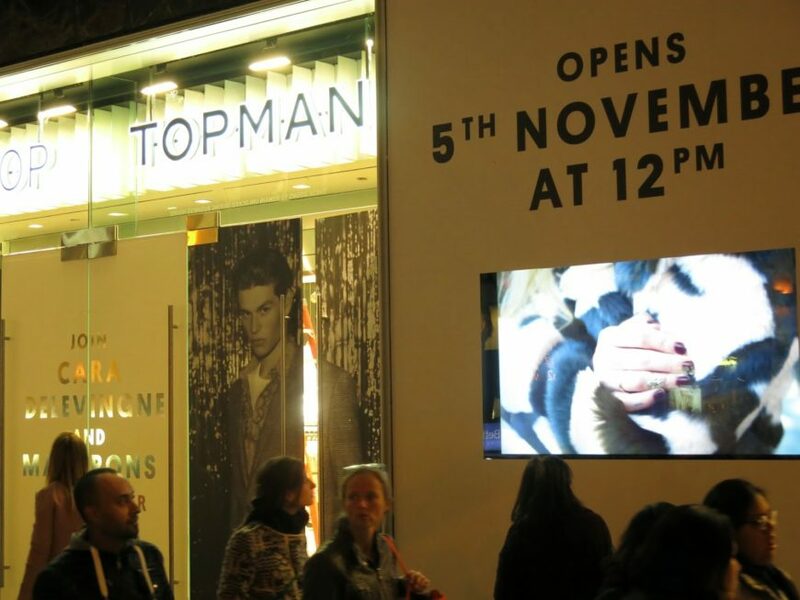 In-store video outside! Glass is great for seeing through but terrible for hearing through. So, vital to the success of the launch was the addition of “a revolutionary new device”: the Feonic Whispering Window audio drives. With our drives mounted on the inside of the glass the sound of the in store video could be played outside. And with no external fittings installation is easy. 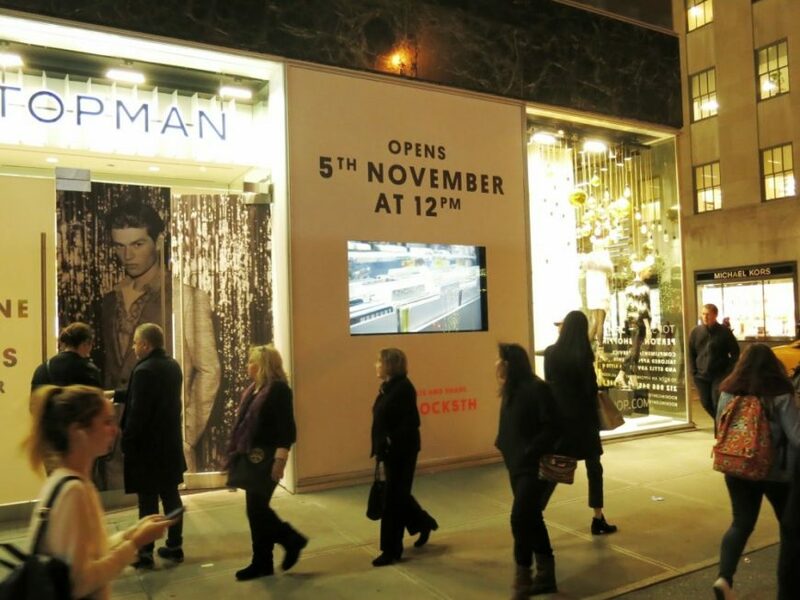 On October thirtieth 2014, the Moore PA Hire team assisted with the installation of 2 windows to ramp up (10/31/2014 – 11/4/2014) to TOPSHOP’s Flagship Store grand opening in NYC’s fashion district. Our scope of work was to provide both visual and audible content to attract the attention of passing foot traffic. For video displays we used two of our Sharp Aquos 80 inch plasma displays set into custom constructed scenery and vinyl window decals. For audio we used a revolutionary new device that uses the glass from the store window as a speaker diaphragm so that the passersby can hear the custom audio content without any external speakers! Please take a moment and have a look at some pictures of the installation below. 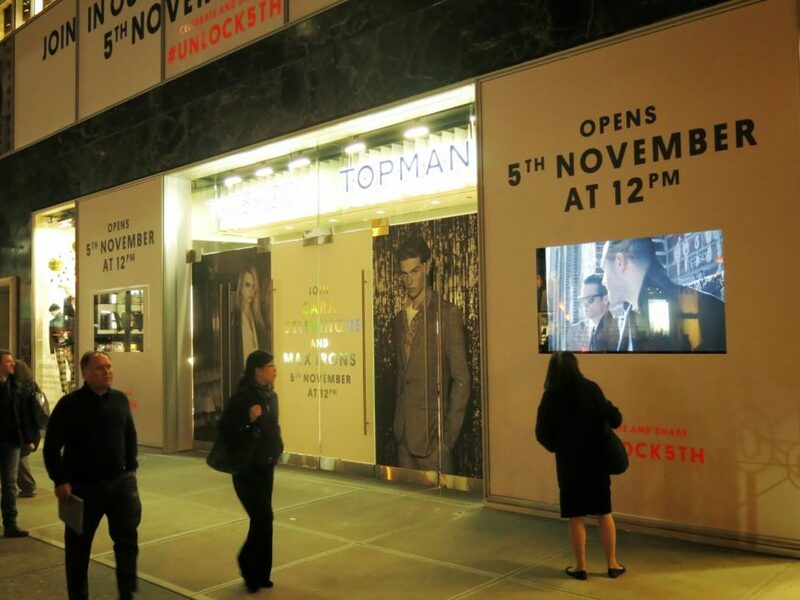 Now every digital window display can become an Audio Visual display.